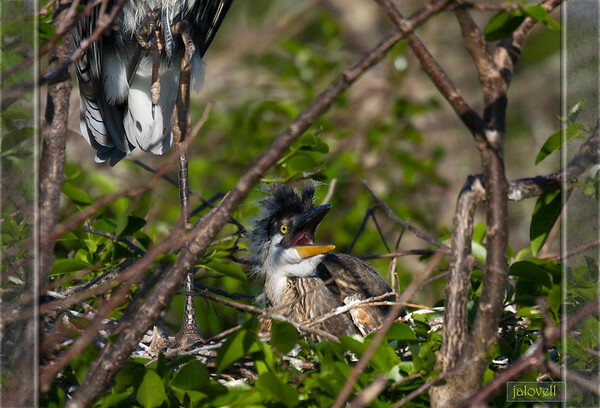 Great Blue Heron Chick chattering noisily while its parent stands sentinel nearby...very nearby!! This is a week after the preceding image and is the same mother and chick. The nestling sib did not raise its head this day. Natural selection always has its way!! I read that Blue Herons will lay 3-6 eggs but I have not yet seen a nest with more than three chicks and as flight time nears I now only see two chicks in those same nests. And here just one.